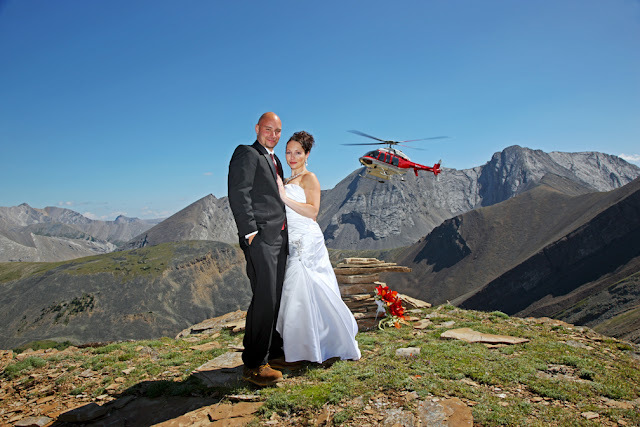 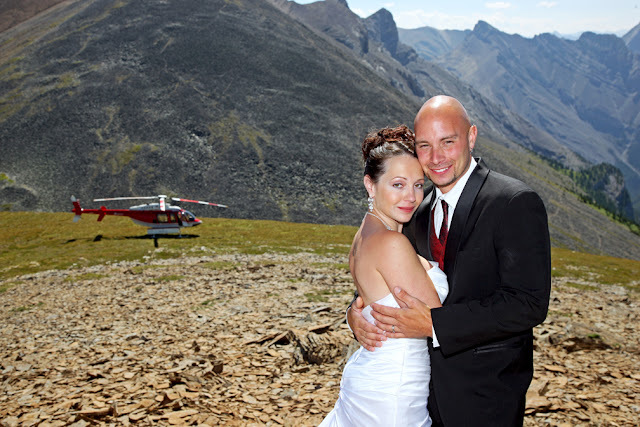 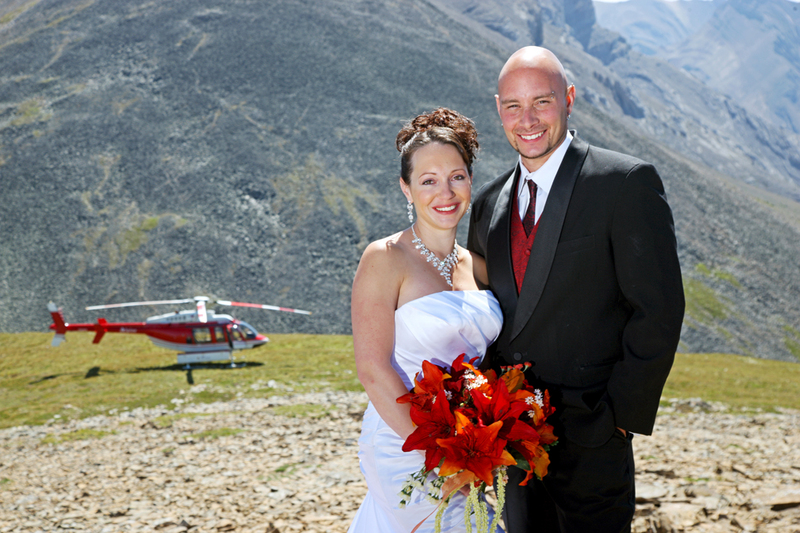 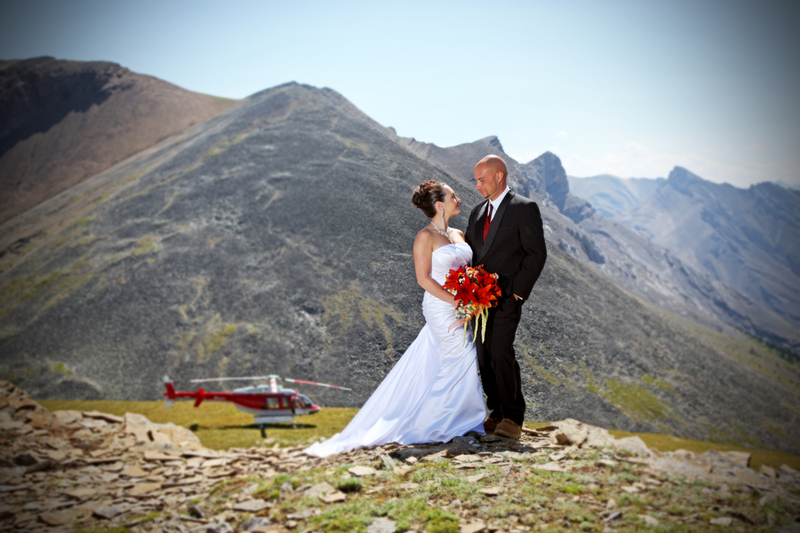 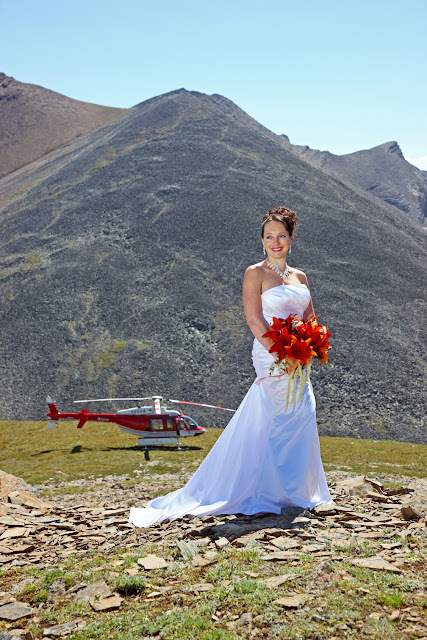 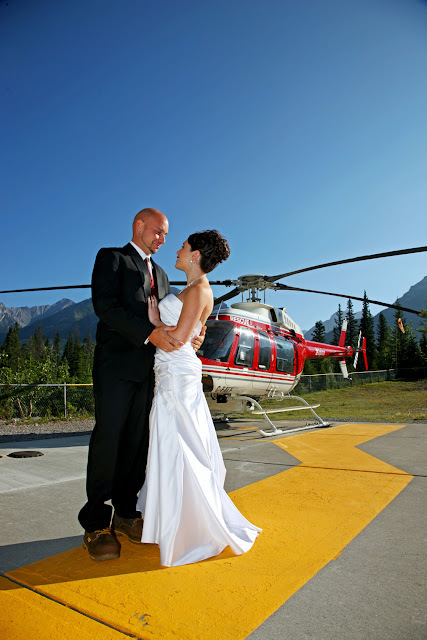 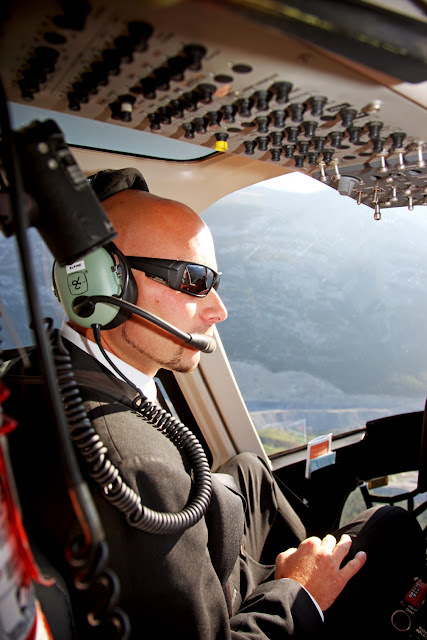 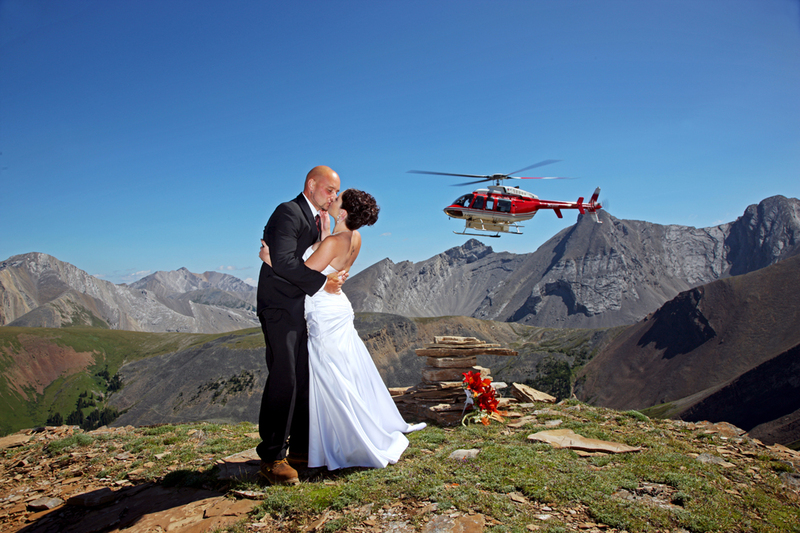 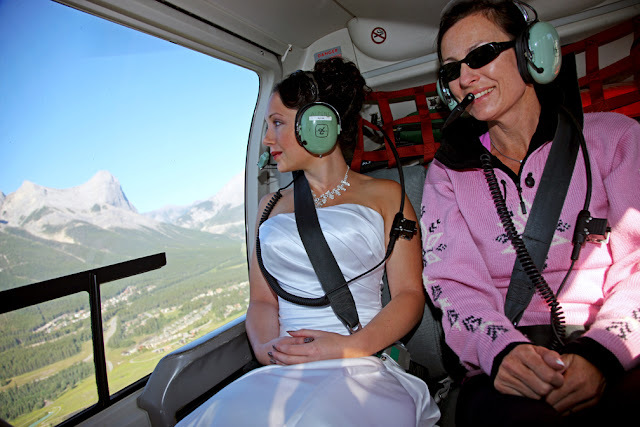 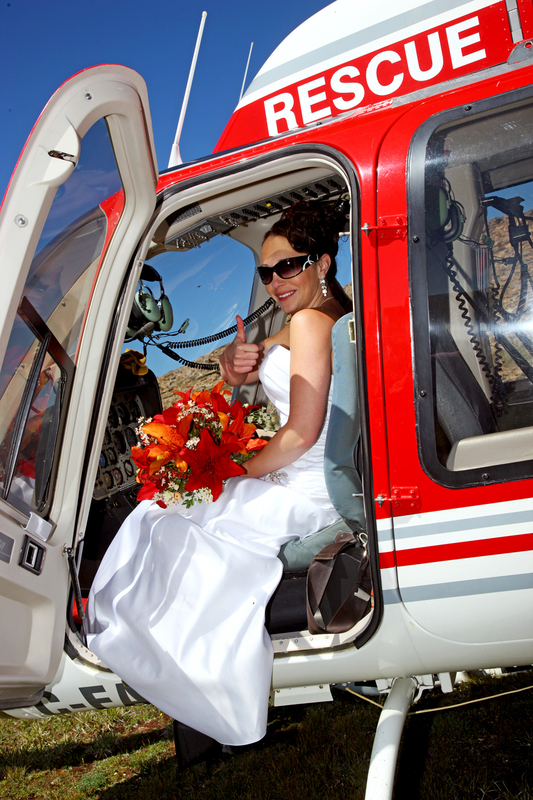 Heli Weddings are so much Fun! 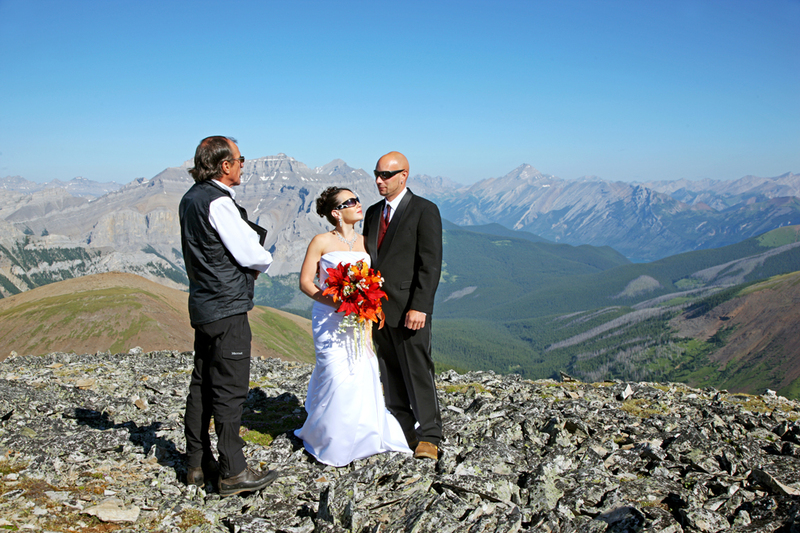 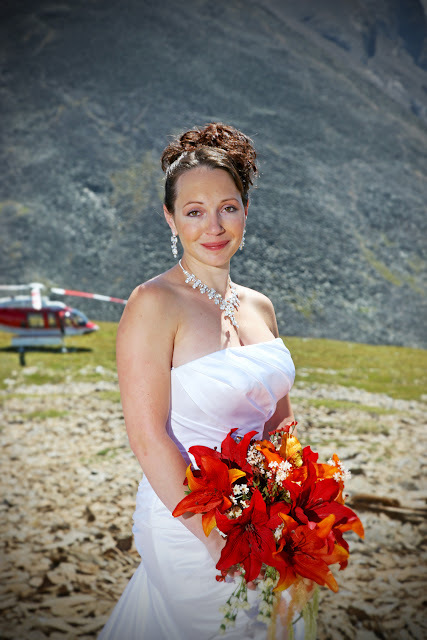 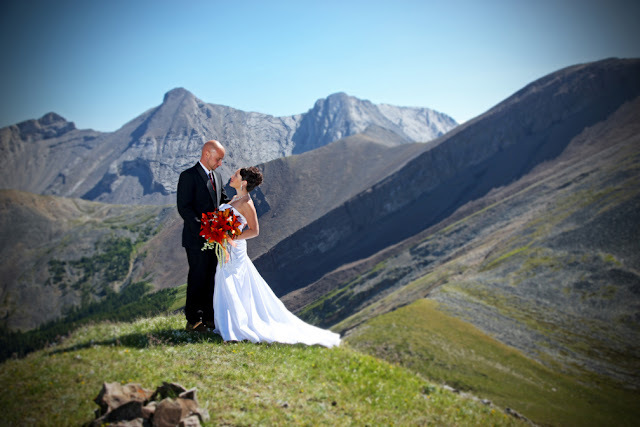 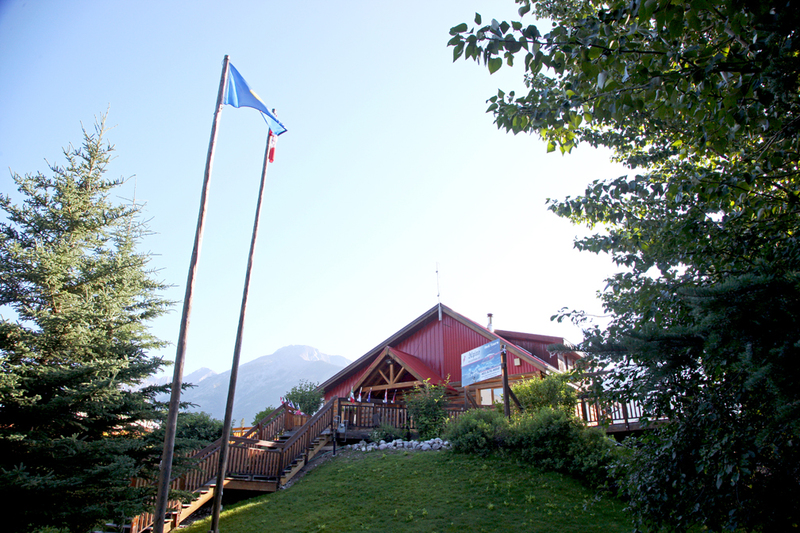 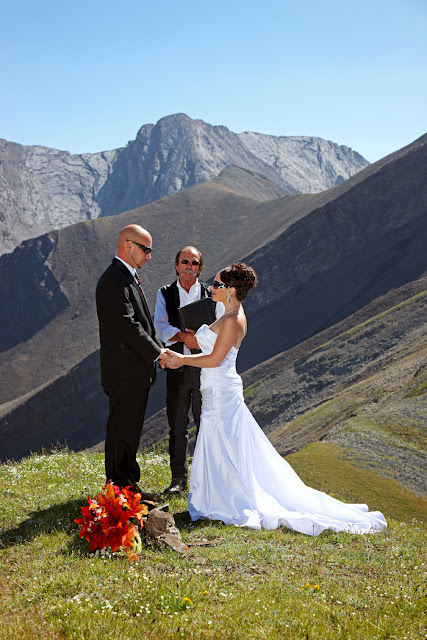 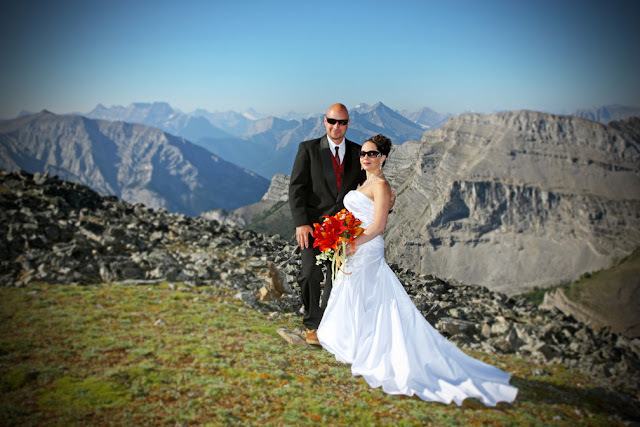 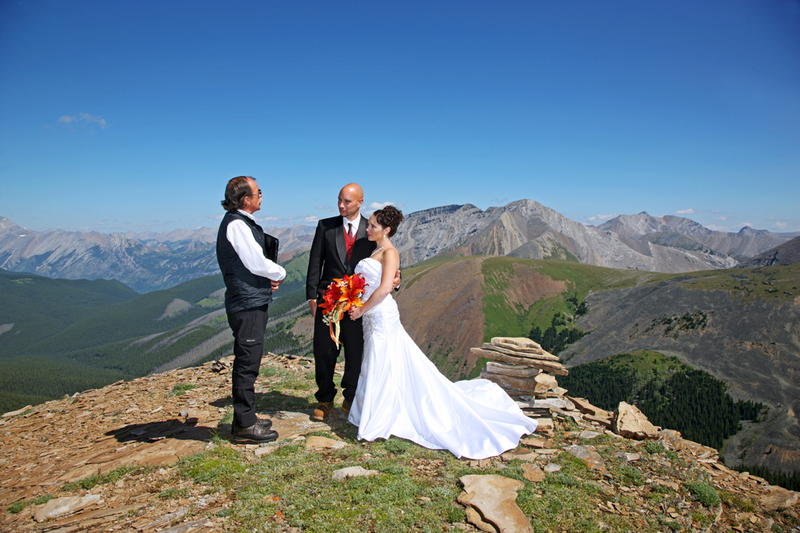 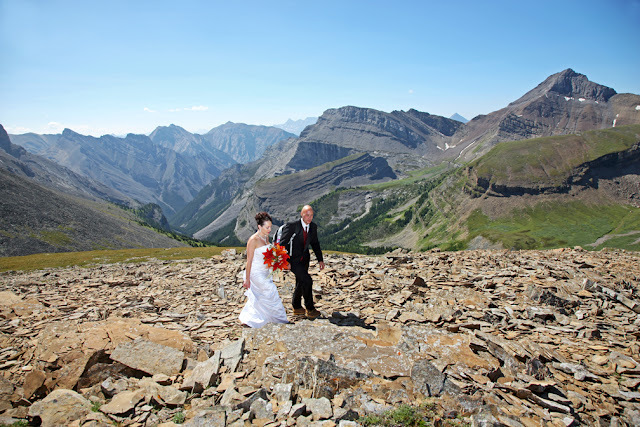 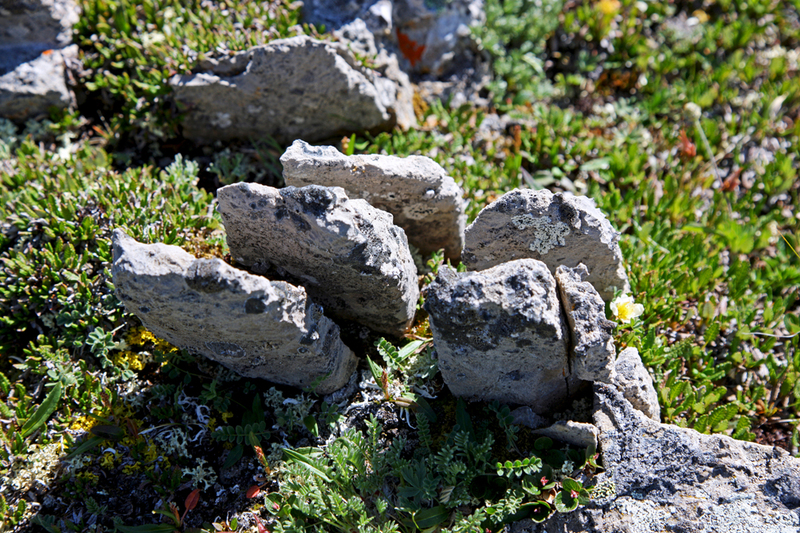 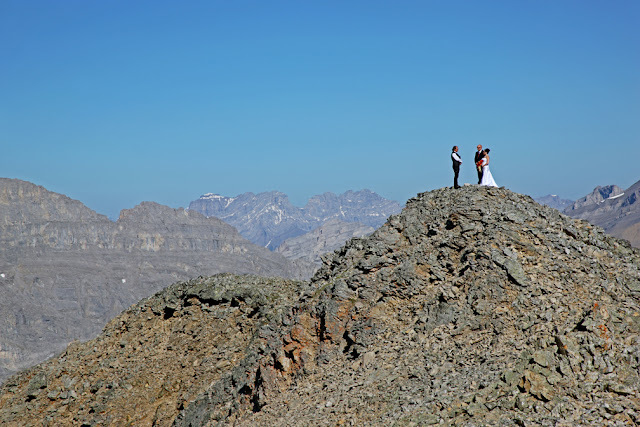 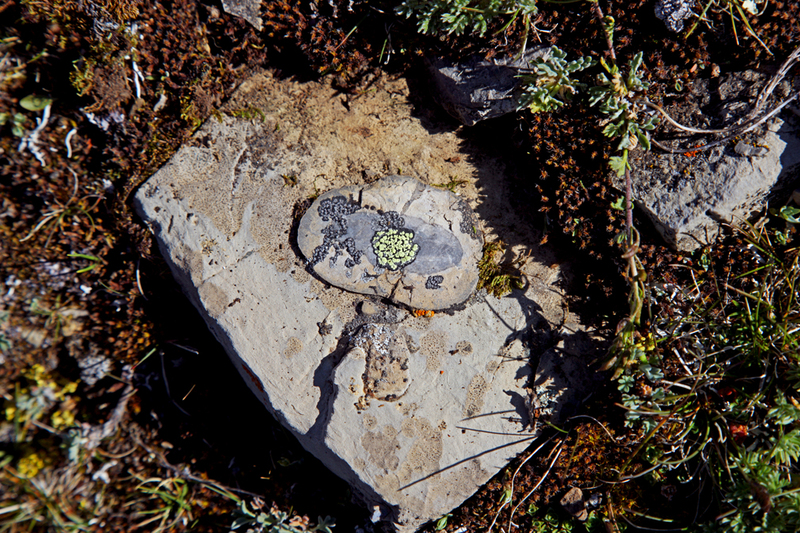 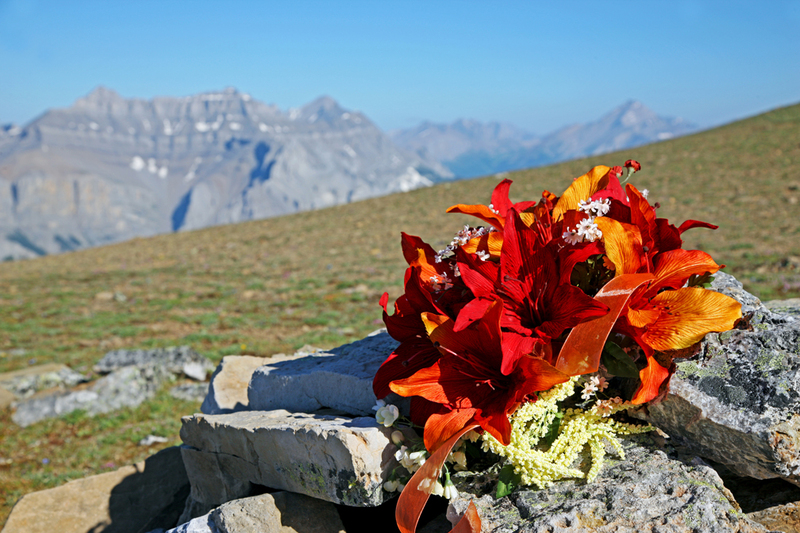 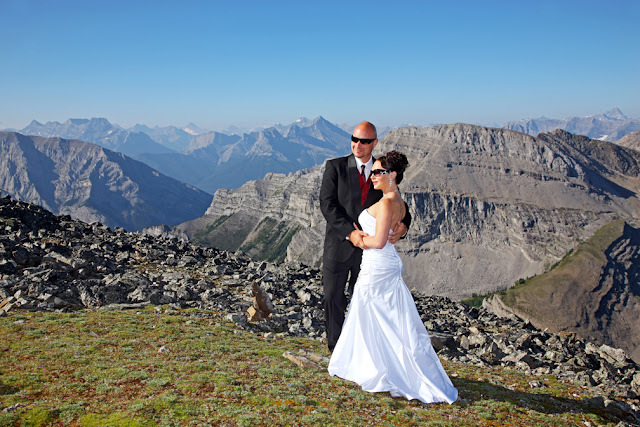 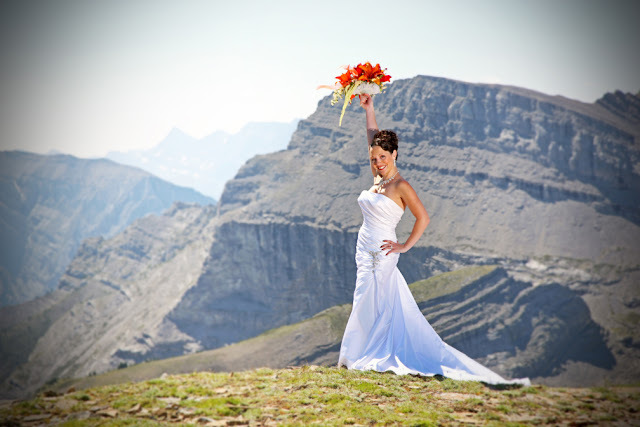 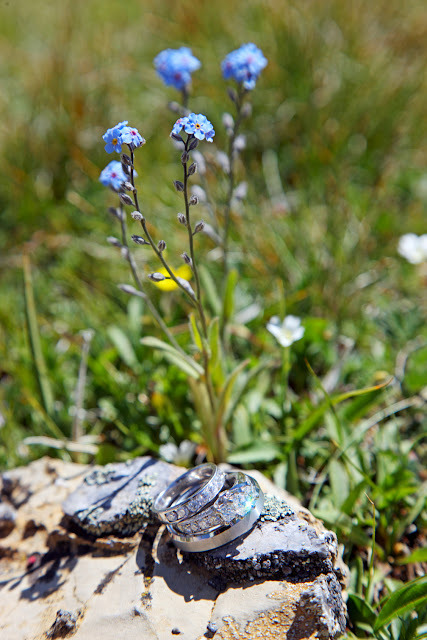 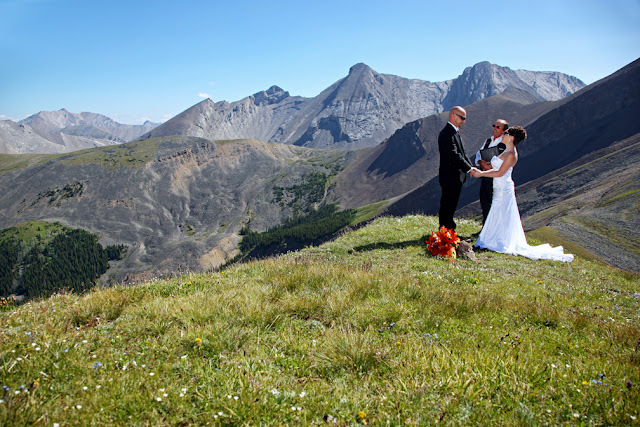 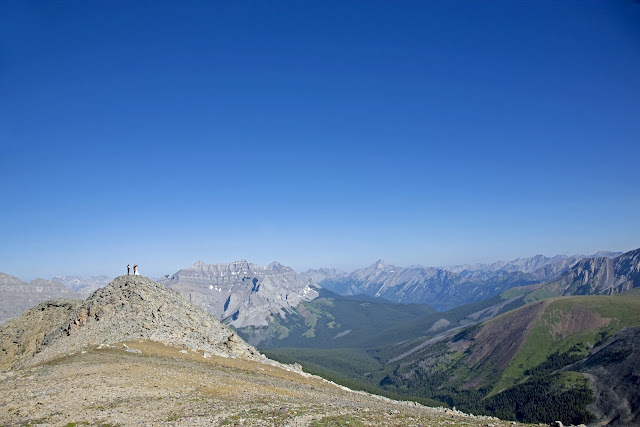 Jenna & Jamie chose to be married on top of the mountain! 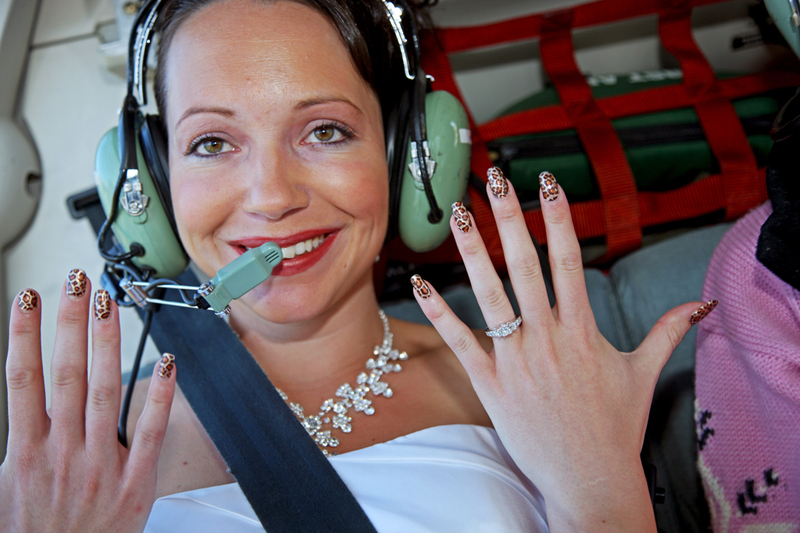 Jamie is very comfortable in the front seat. 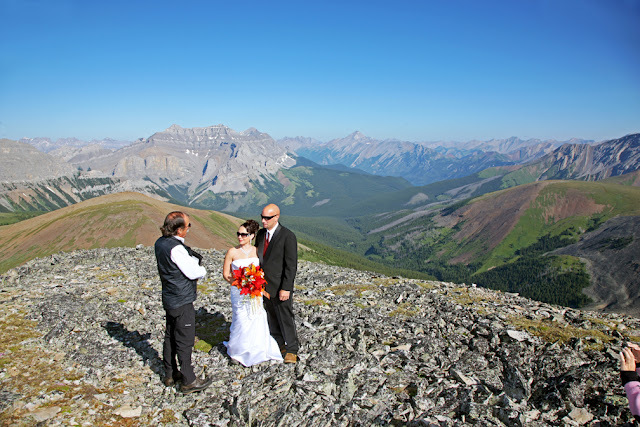 The view is Simply Spectacular! Local Marriage Commissioner and qualified guide Rick Kunelius performs a beautiful ceremony. 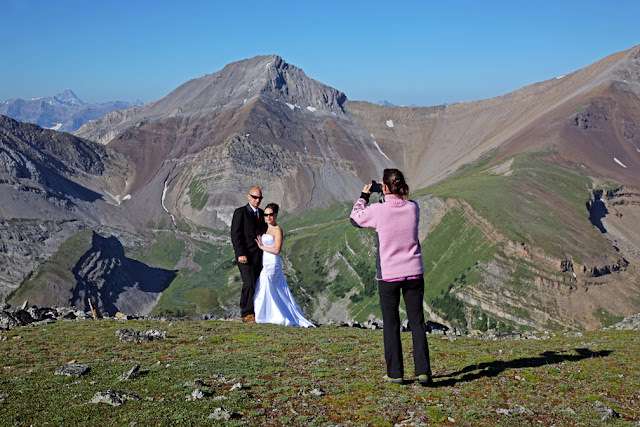 Jenna was a good sport as we hiked from peak to peak. 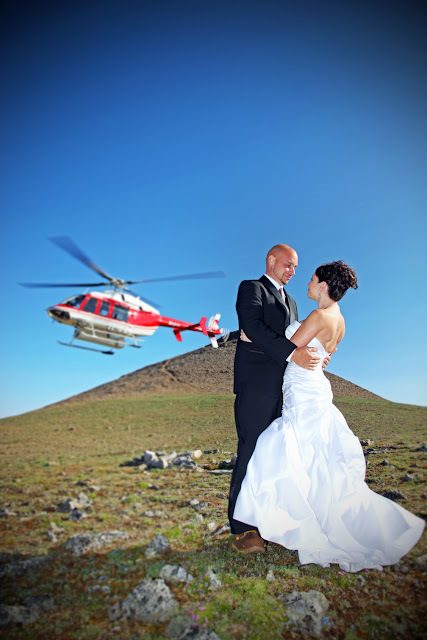 As we completed the last part of the wedding ceremony the helicopter flew back to pick us up. 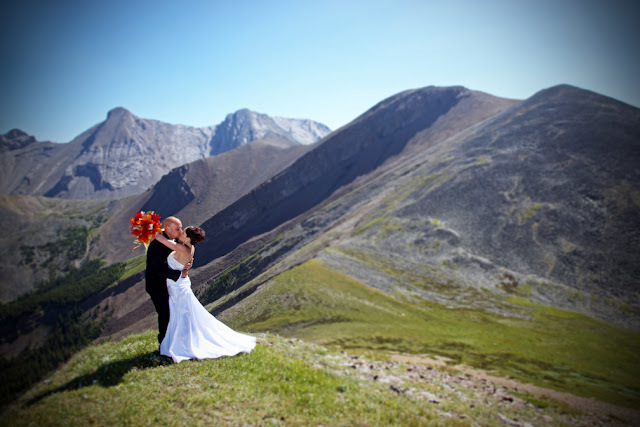 Jamie hugged and swirled his bride as they are now married!